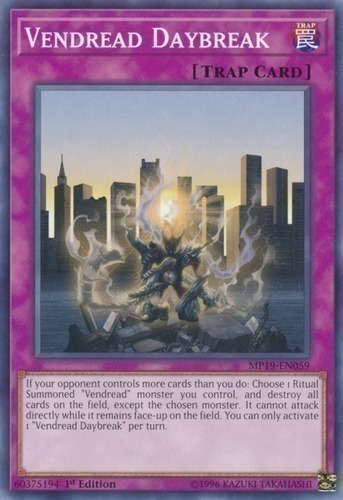 If your opponent controls more cards than you do: Choose 1 Ritual Summoned "Vendread" monster you control, and destroy all cards on the field, except the chosen monster. It cannot attack directly while it remains face-up on the field. You can only activate 1 "Vendread Daybreak" per turn.